|By Arabian Post Staff| Dubai Government is developing a new project development company that will manage projects by Dubai Holding and Meraas Holding, according to a media statement issued on Monday (May 29, 2017). The move is a reflection of the economic reality marked by lower oil price and lower growth outlook that is encouraging governments to consolidate their state-owned businesses to cut costs by creating synergies. It is however, unclear if mega merger of both the entities are on the cards. The statement did not give any indications on the new company under formation. Both Dubai Holding and Meraas Holding have been developing residential, commercial, retail and entertainment projects separately. The new company is expected to create a synergy in creating a robust project development pipeline that will help Dubai witness new projects that meets the growing demand and fall in line with the government’s economic growth vision. Dubai Holding, an investment conglomerate, has operations in 21 countries with a 22,000-strong work force. 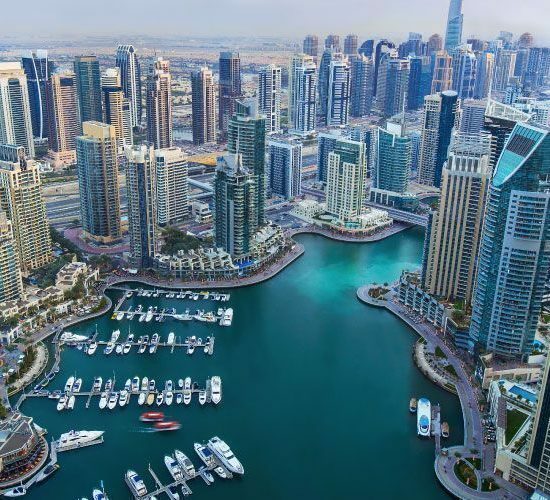 It manages a Dh130 billion ($35 billion ) portfolio of assets, which supports the strong development of Dubai’s non-oil economy across sectors including tourism, hospitality, real estate, media, ICT, education, design and trade. 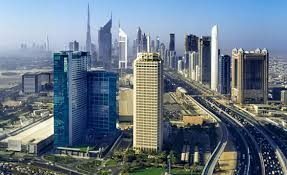 Over the years, Dubai Holding has created Tecom Investments – responsible for the development of the emirate’s knowledge clusters that include Dubai Internet City, Dubai Media City, the Knowledge Village, Dubai Studio City, the International Media Production Zone – as well as Dubai Properties Group, Jumeirah Group – its hospitality development and hotel management arm in addition to a number of industrial clusters such as Dubai Industrial City, Dubai Design District, Dubai Humanitarian City, among others. Meraas, with portfolio and activity in real estate, tourism, hospitality, healthcare, technology, retail, F&B (food and beverages), leisure & entertainment. aims to make Dubai and the UAE better for people to live, work and play in. It boasts several major projects including City Walk, The Beach, Boxpark and its latest Last Exit and The Outlet Village which are open places for communities to socialise, explore, learn, play, create and enjoy. Its activities include developing and operating diverse, high quality urban destinations, as well as investing and creating new technologies and experiences across the city. Raed Kajoor Al Nuaimi has been appointed “Chief Executive Officer of a new entity to lead a development group that will manage multi-billion dollar development projects across Dubai Holding and Meraas Holding,” the statement said. “Al Nuaimi will remain as CEO of DXB Entertainments until a new CEO is appointed. He will thereafter continue as a senior executive with the company, in the role of Managing Director and executive member of the Board of Directors. The appointment of a new CEO will be announced by the company in due course,” the statement said. DXB Entertainments PJSC (previously Dubai Parks and Resorts PJSC) is a Dubai-based provider of leisure and entertainment destinations and experiences. The Company is traded on the Dubai Financial Market (DFM) under the trading symbol DXBE. We bring together a diverse portfolio of world-class brands to offer pioneering entertainment in the areas of theme parks, retail and hospitality as well as leisure attractions. Launched in 2014, DXB Entertainments owns and operates Dubai Parks and Resorts, the largest theme park destination in the Middle East. Spanning 30.6 million square feet of land, the Dh13.2 billion destination consists of four theme parks (Six Flags coming in 2019) in one location. For us, fun means business. With a market cap of Dh10.4 billion as of 31 December 2016, DXB Entertainments aims to become an industry-leading provider and producer of innovative and inspirational entertainment experiences in the Middle East and beyond.